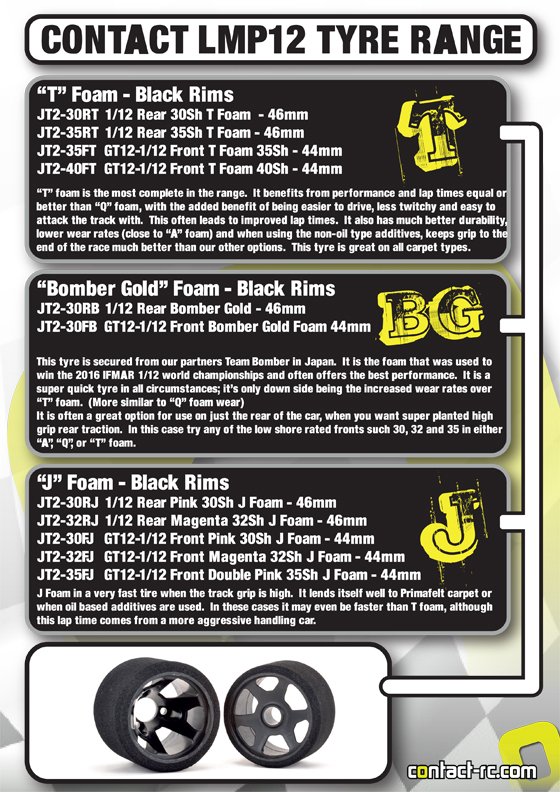 GT12 World Championship winning T foam is the most complete in the range. It benefits from performance and lap times equal or better than Q foam, with the added benefit of being easier to drive, less twitchy and easy to attack the track with. This often leads to improved lap times. It also has much better durability, lower wear rates (close to A foam) and when using the non-oil type additives, keeps grip to the end of the race much better than our other options. 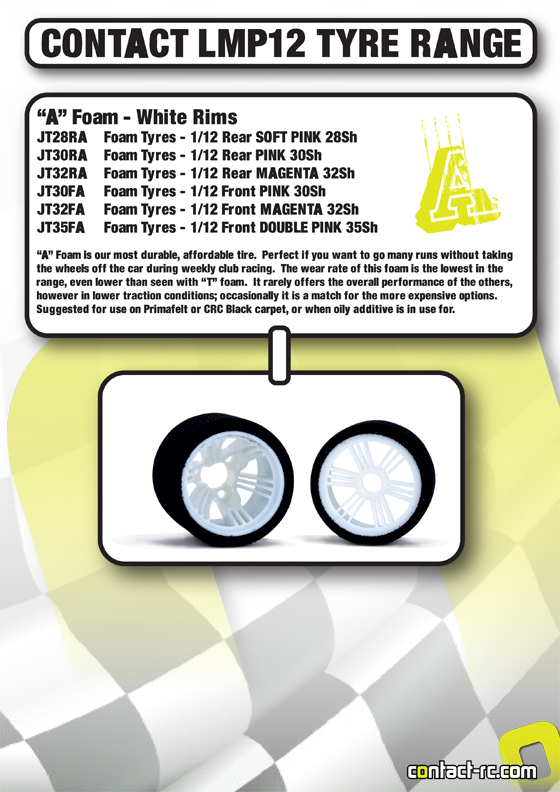 This tyre is great on all carpet types.